A very short week as it turned out; shorter than planned. The sun and heatwave was left behind at the end of last week and this week was grey (which probably added to my desire to go home). 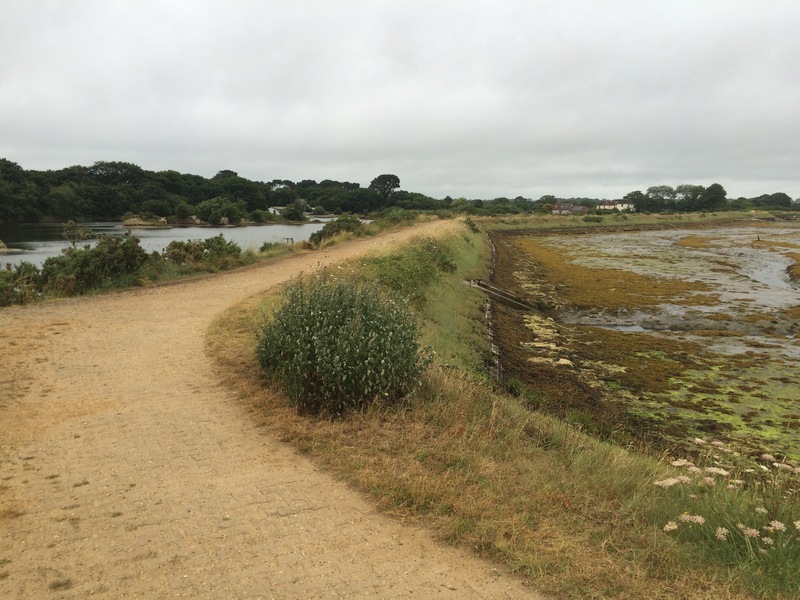 I crossed from Dorset into Hampshire and flirted with the New Forest National Park. It was nice to go home. It was nice to be home. The garden had grown a bit! I enjoyed a few days doing very little except washing and mending my kit. Everything (including me) was getting a bit tired. For example: the rubber was wearing off my walking poles, my t-shirt had developed an irreparable hole and I had to order a new one, my shorts needed sewing up yet again, and my sandals had to be washed and soaked 3 times to rid them of their foul smell. I also took the opportunity to visit my mum as I hadn’t seen her for over 6 months and I don’t want to be written out of her will. Plus, she’s good at sewing. Love you mum. I woke up feeling relieved that I was going home. I had only spent 4 days at home in 4 months and I wanted a break from camping where I could sleep in my own bed. I packed up and got a bacon and egg sandwich from the trucker-style cafe on the campsite before I headed back out to The Salterns. 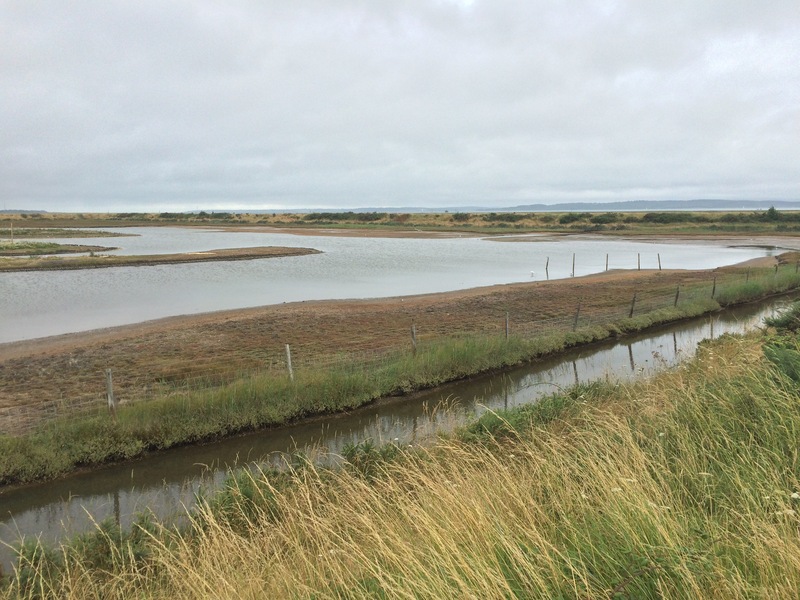 Here the seawater had been impounded in shallow lagoons, allowed to evaporate (helped by wind pumps) and the residual salt collected. Salt production had been going on here since Roman times, only halting in 1865 when cheaper salt from Cheshire forced the closure of the last Saltern. 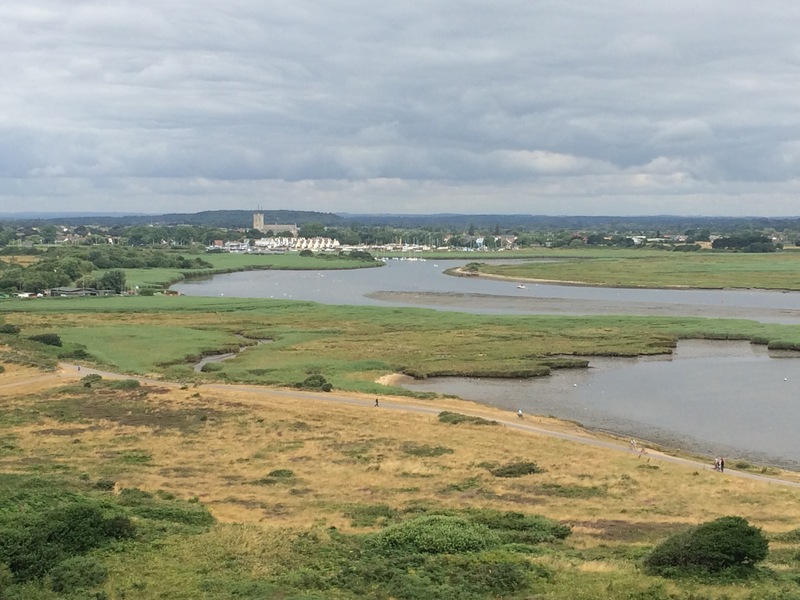 Now these brackish lagoons formed the Keyhaven-Lymington Nature Reserve. It was peaceful in the morning and, as it was low tide, all I could here was the sound of the many wading birds that feed in this place. 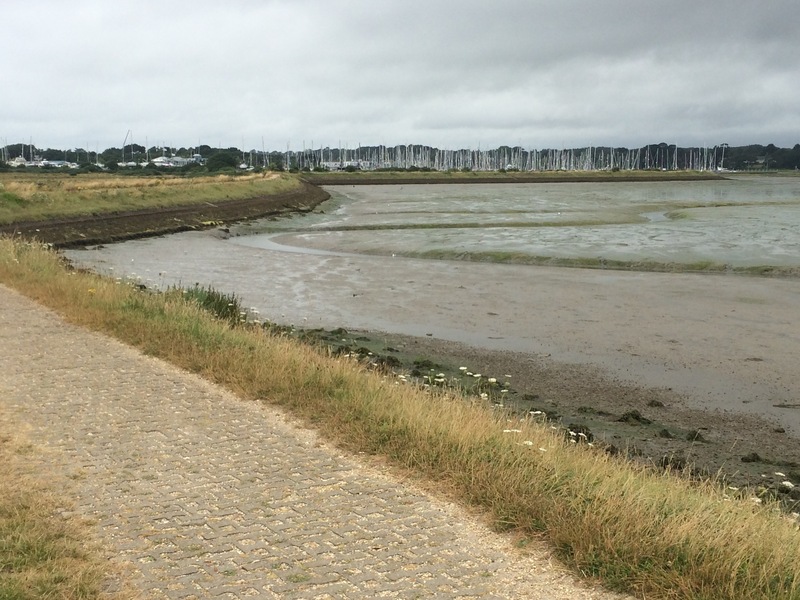 I saw black headed gulls, oyster catchers, egrets, herons, plovers, godwits and sandpipers. Lymington was a yacht haven. 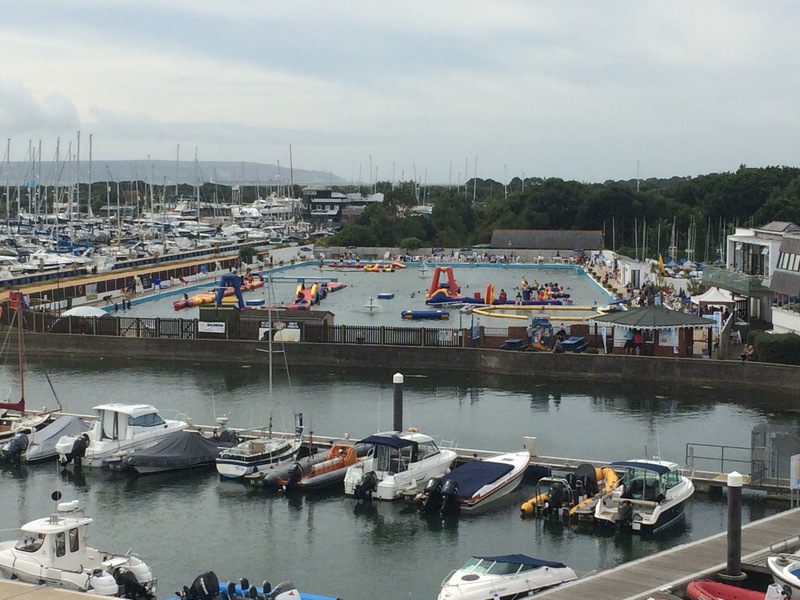 I walked around the marina and stumbled across Lymington Sea Water Baths. This place looked brilliant. built in 1833, it is the oldest and largest lido in the UK. It has a 120m inflatable assault course in it – I was sorely tempted! Had I been here in the late 18th Century it would have only cost me 1/- to swim in Mrs Beeton’s Baths with the aid of a guide, who would have held me up with a rope. I found a nice cafe in Lymington and had a coffee before catching the train home. I had a lie-in at Kath’s, partly because she wanted to walk with me (she’s not an early riser) and partly because she promised bacon sandwiches. Unfortunately Geoff couldn’t make it so Suzy drove for the sandwiches before we were up and we all set off together sometime around 10am. 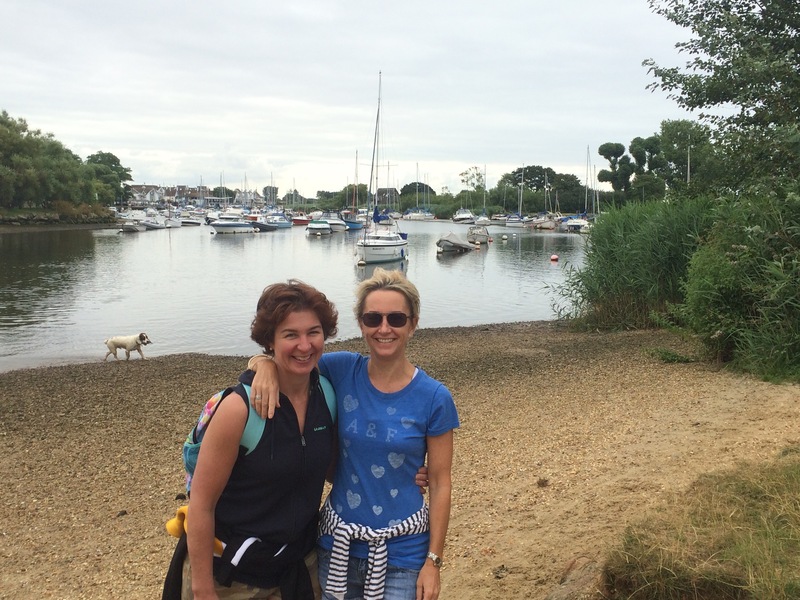 Following Kath’s good advice we started with the Stour Valley Way, heading alongside Christchurch Harbour and out to Hengistbury Head. 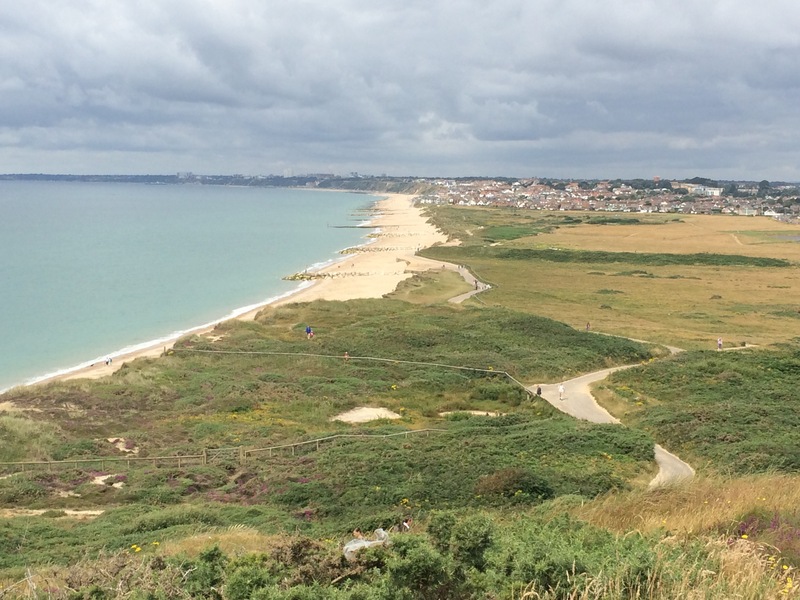 It was a grey day with dull light but I could still see for miles from the elevated position on top of the dunes covering Hengistbury Head. There were some lovely beach huts on the spit of land protecting Christchurch Harbour. 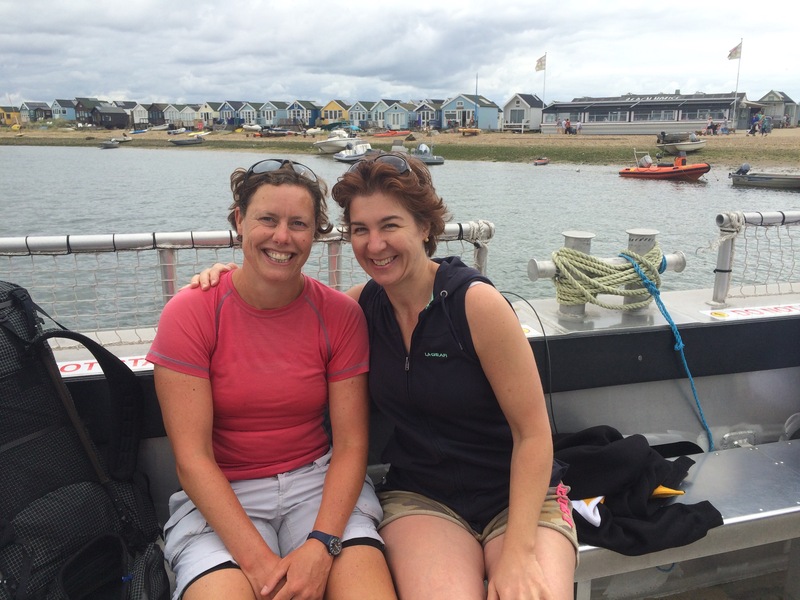 We were able to get a ferry across to mouth of the harbour to Mudeford, Christchurch. 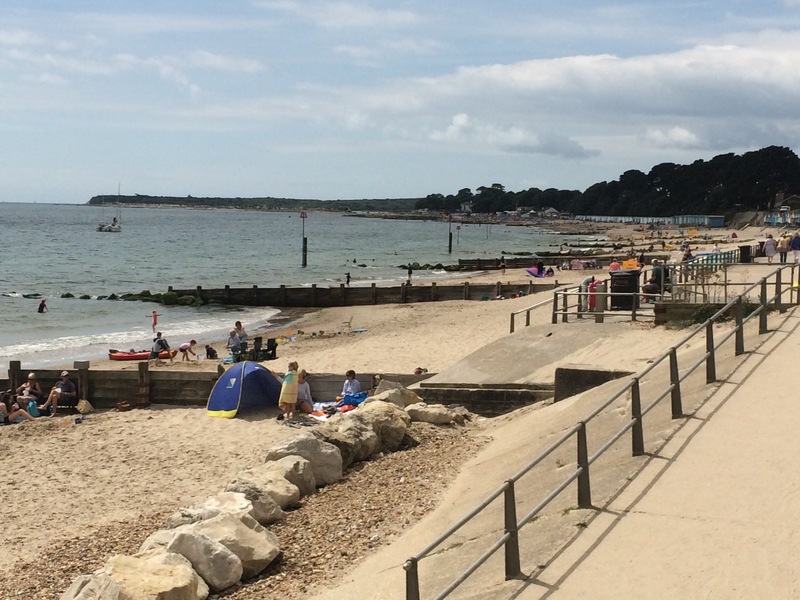 We stopped at The Noisy Lobster next to Avon Beach, Mudeford for coffee and cake. Before I knew it the afternoon was upon me and I’d hardly walked anywhere. It had been a lovely, relaxed morning though. 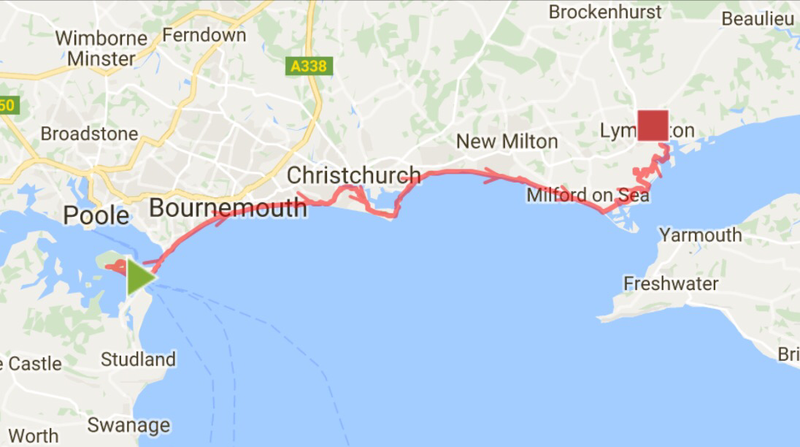 I waved goodbye to Kath and Suzy and headed along Christchurch promenade, which was rather similar to Bournemouth’s. At some point I crossed into Hampshire. 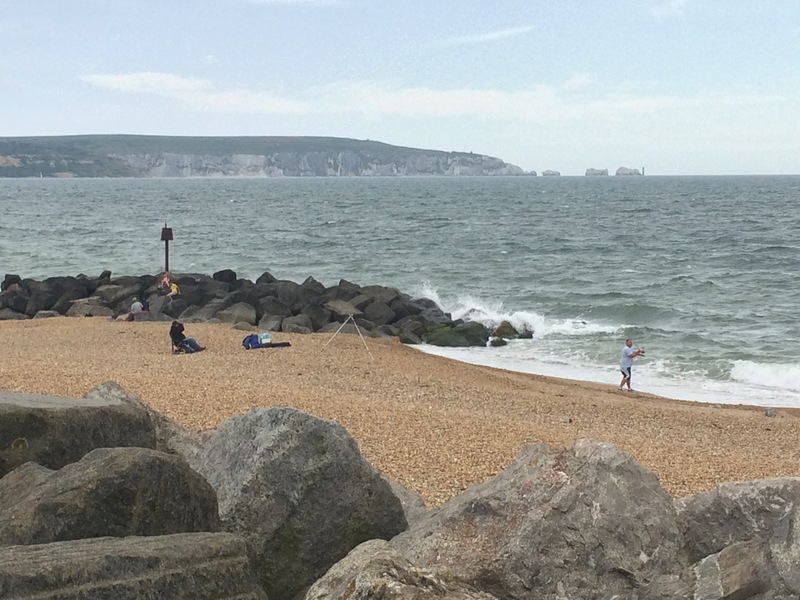 I asked a lifeguard if I could get all the way along the beach to Milford on Sea and he assured me I could, even though it was nearly high tide. Hmmm. 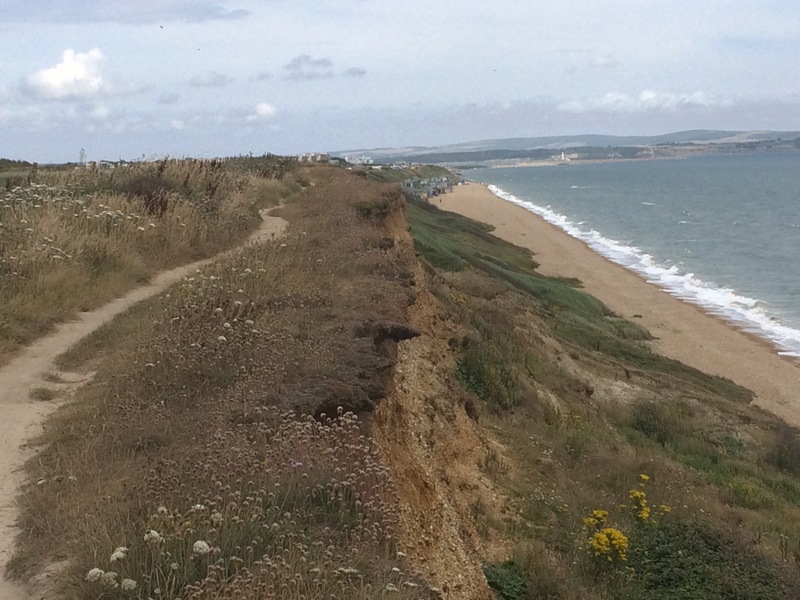 Halfway along I passed the warning signs telling me cliff subsidence had made a section too dangerous to pass. 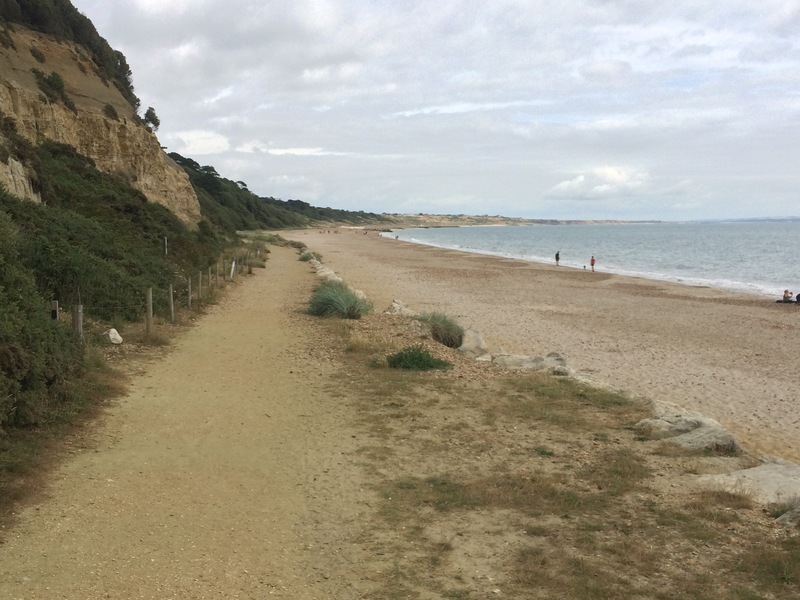 I didn’t want to go back and there was no way up the high cliffs so I gingerly picked my way over the mud and boulders, following a route I could see had been travelled before. Fortunately I made it. If I had needed rescuing I was going to blame the lifeguard. it doesn’t look that bad from here! 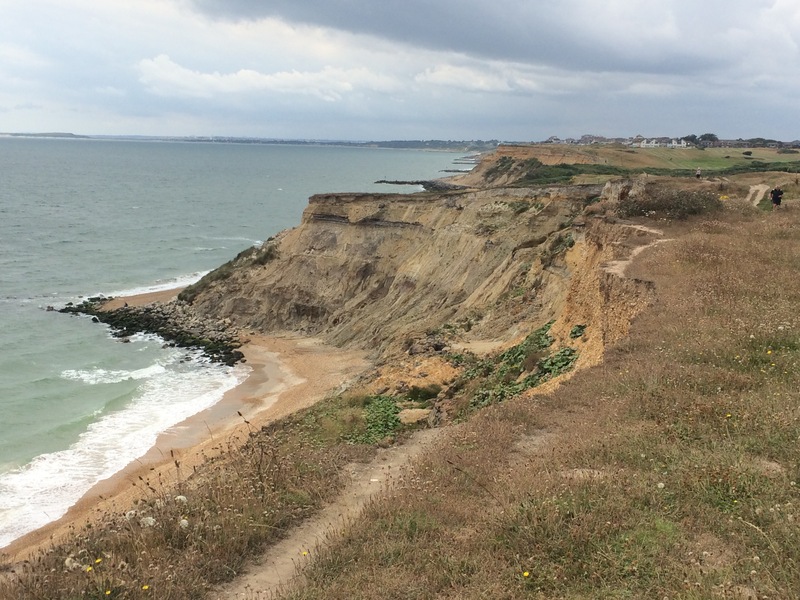 The cliff erosion was quite stark and reminded me of Norfolk; the cliffs were composed of the same sort of sticky, clay/mud. 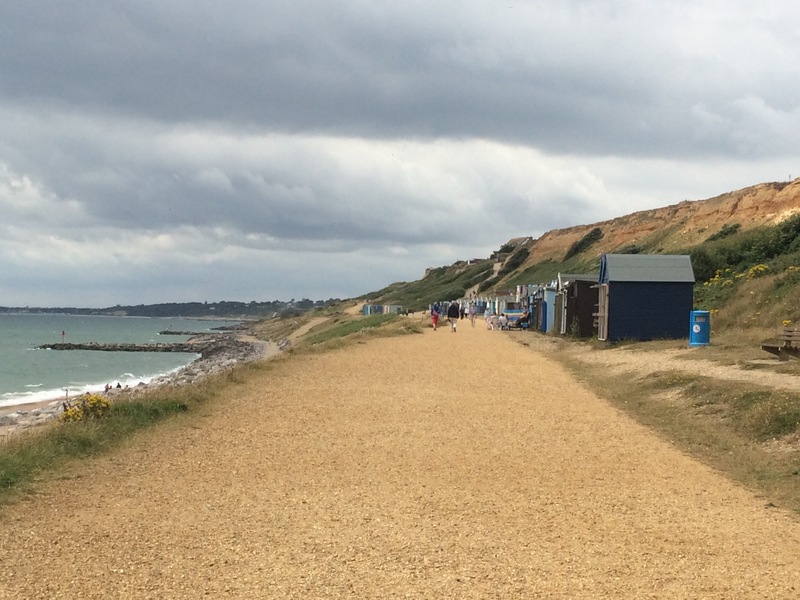 Either side of the landslip, however, there were plenty of people on the beach and lots of beach huts. 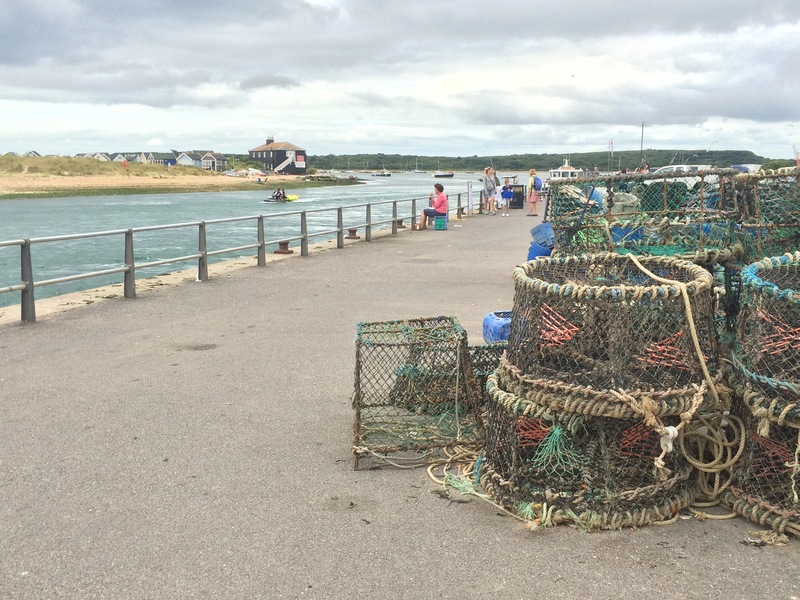 Many of the ones at Milford on Sea had been damaged in the 2014 storms. 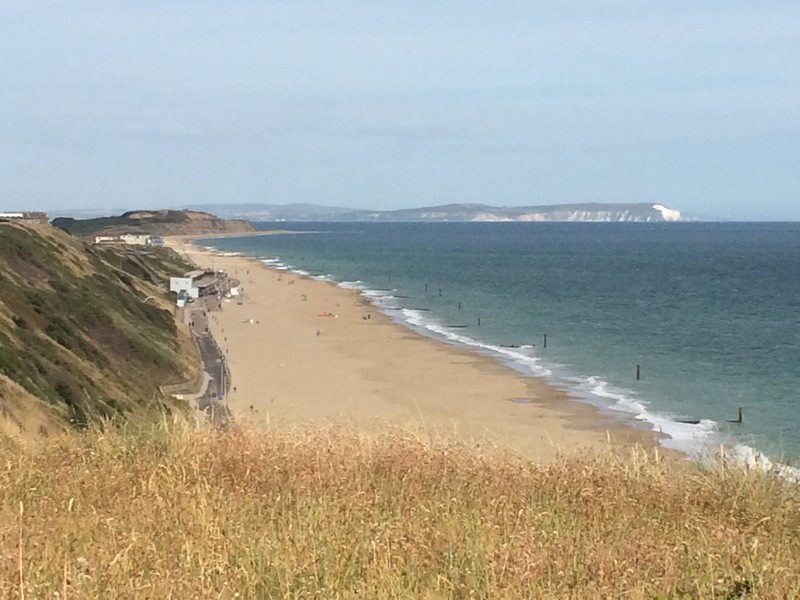 Eventually I made it up to the clifftop and breathed a sigh of relief. The views were better from up here. 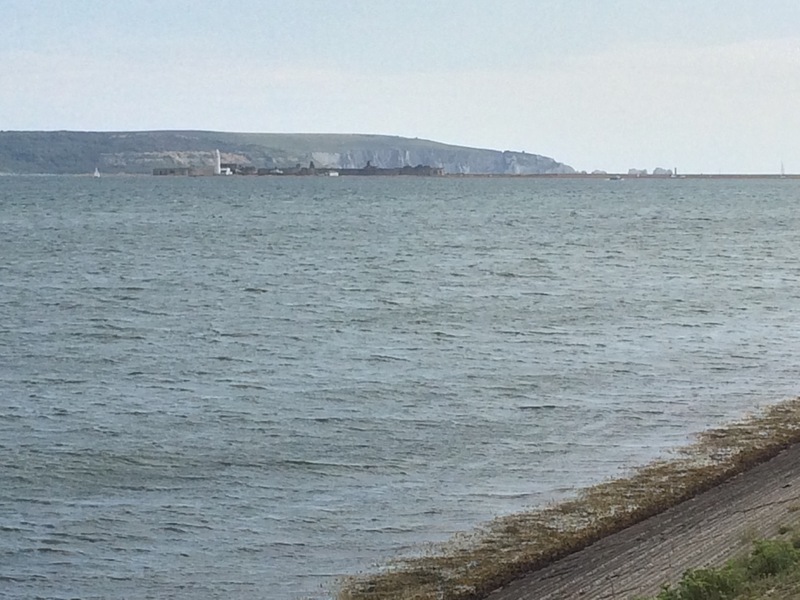 I had a great view of The Needles as I reached Milford on Sea. There were some nice houses facing the sea but it all had a depressed air about it; it might have been the grey day. 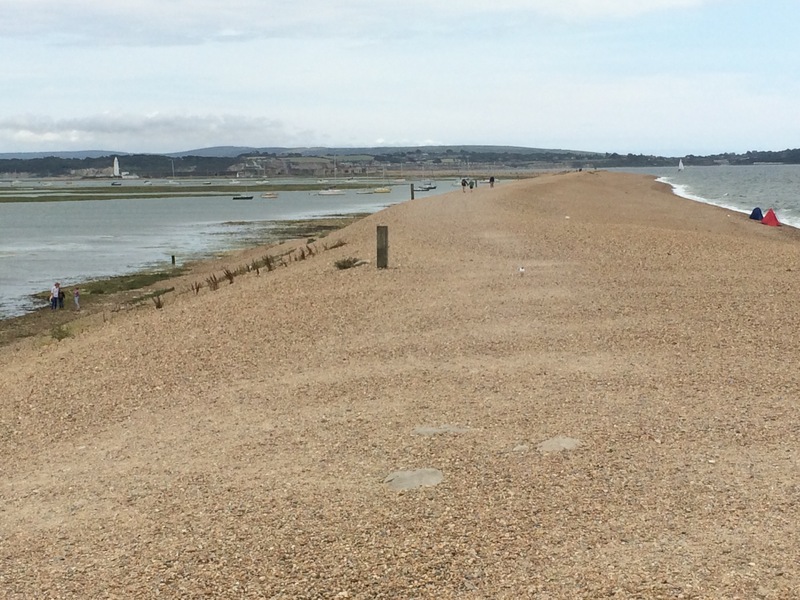 Hurst Beach is a 2km spit of shingle, like a smaller version of Chesil Beach, that sticks out from Milford on Sea into the Solent. 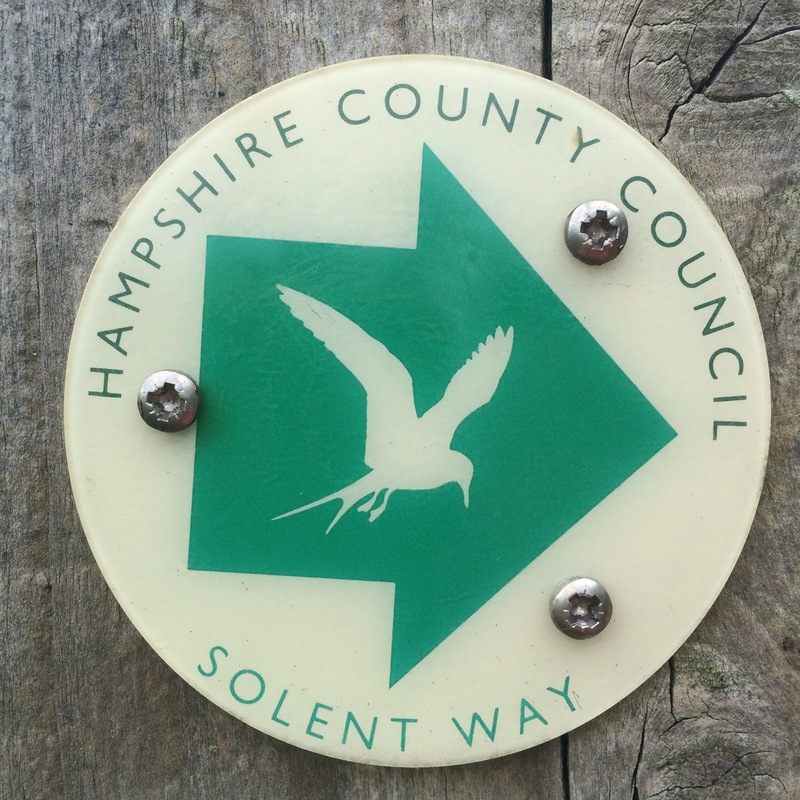 It forms a shifting barrier that protects the western approach to the Solent. 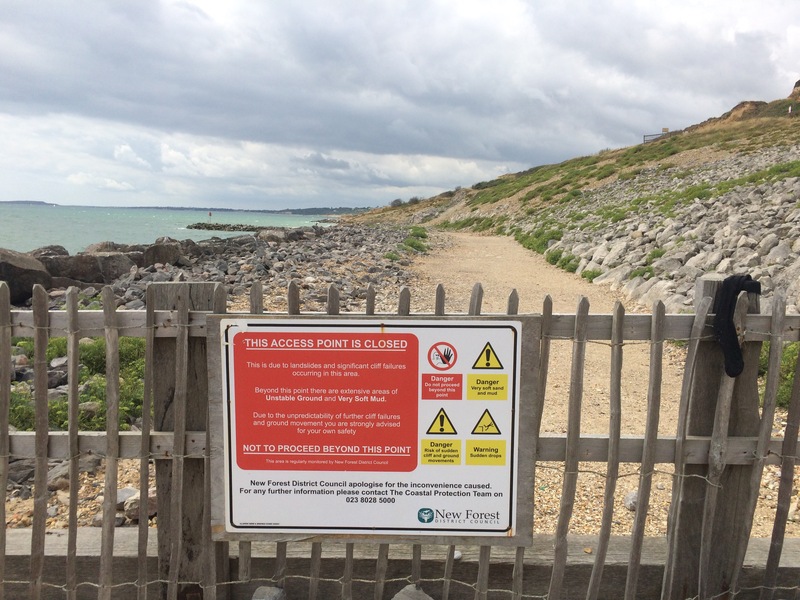 I didn’t walk all the way along it to Hurst Castle and lighthouse at the end; that would have been tough going along the 300,000 cubic metres of shingle. 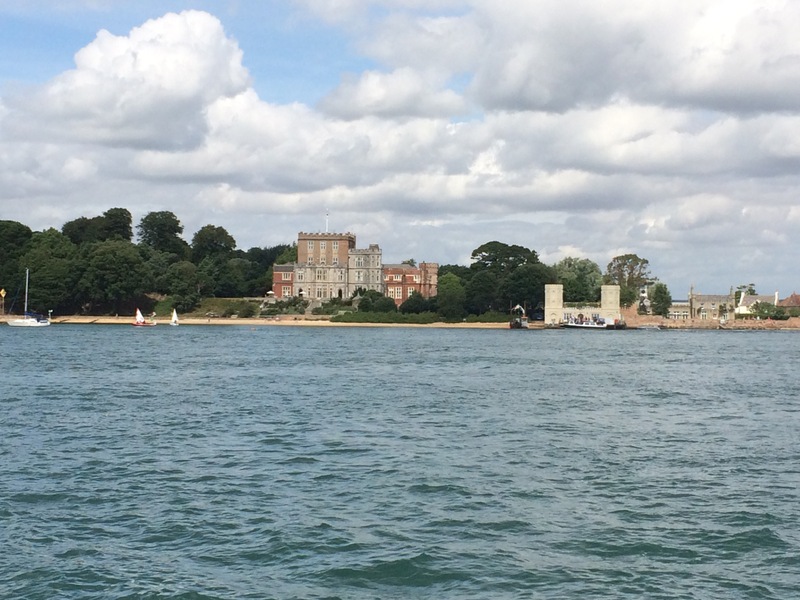 I did learn that Hurst Castle was built in 1544 (another of Henry VIII’s forts) and that King Charles I was held prisoner there before his final journey to London. 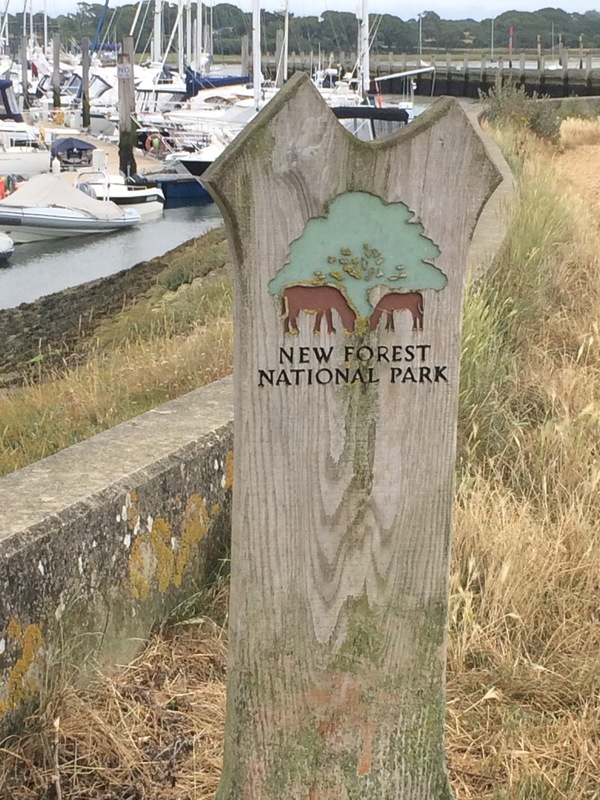 Instead I turned North East, folowing the Solent Way along the fringes of the New Forest National Park. 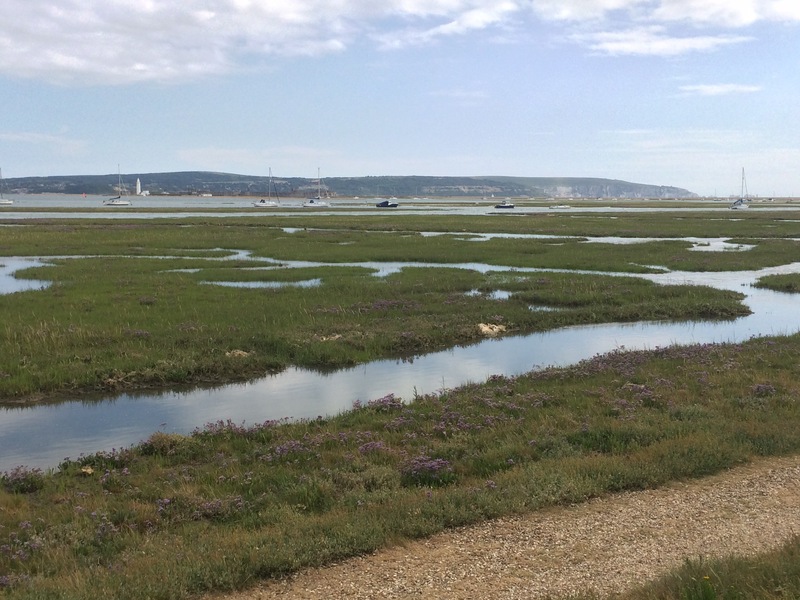 I skirted around the huge saltmarsh and mudflats created in the shelter of Hurst Spit. At Pennington Marshes I headed inland slightly to my campsite. I was tired and camping did not enthrall me. I knew I needed a break when I managed to lose my phone charger (fortunately someone picked it up and left it on a picnic table). 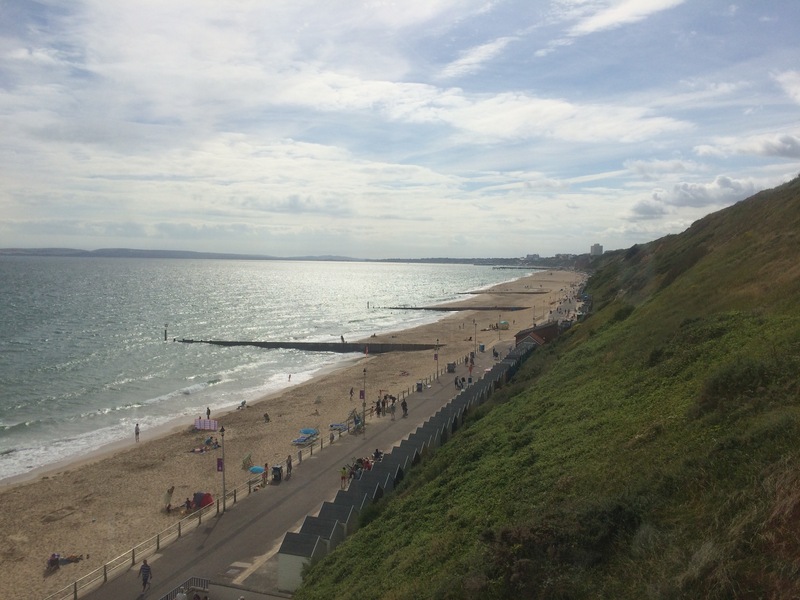 I had been planning to head to the Isle of Wight tomorrow and head home at the end of the week but I decided to change my plans and catch a train home tomorrow. That decision lifted my mood considerably; I did need a break. 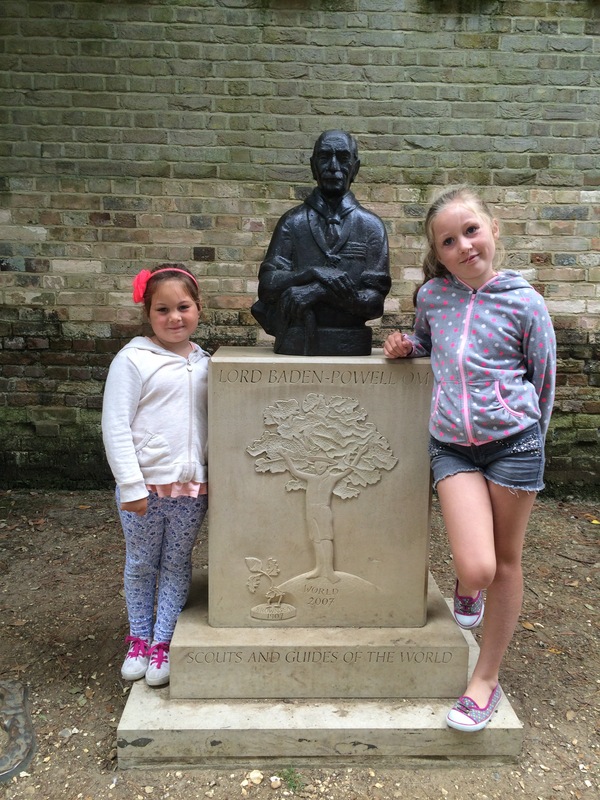 I convinced Andrea, Amelie and Ruby to join me on a trip to Brownsea Island, the home of Scouting. 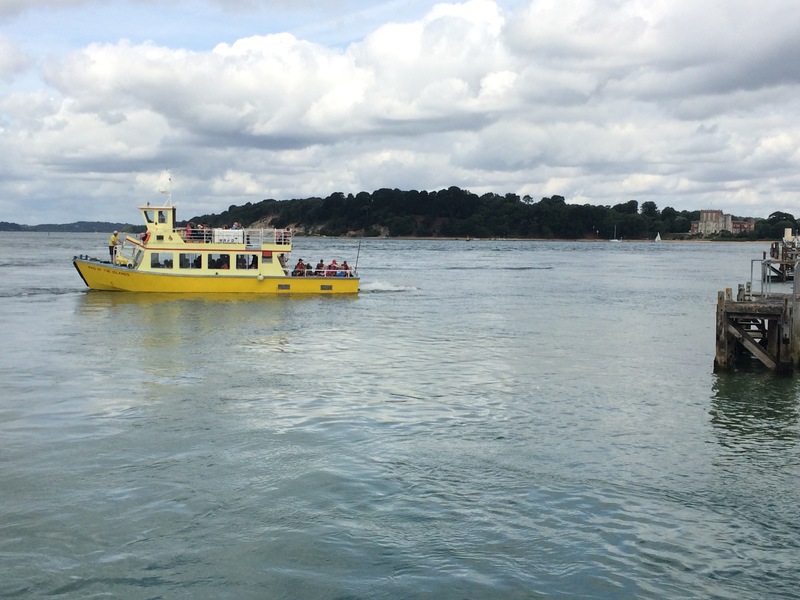 The 10 minute ferry went from Sandbanks and it was popular; we had to wait for the 2nd one. There were lots of Scouts in their uniforms. 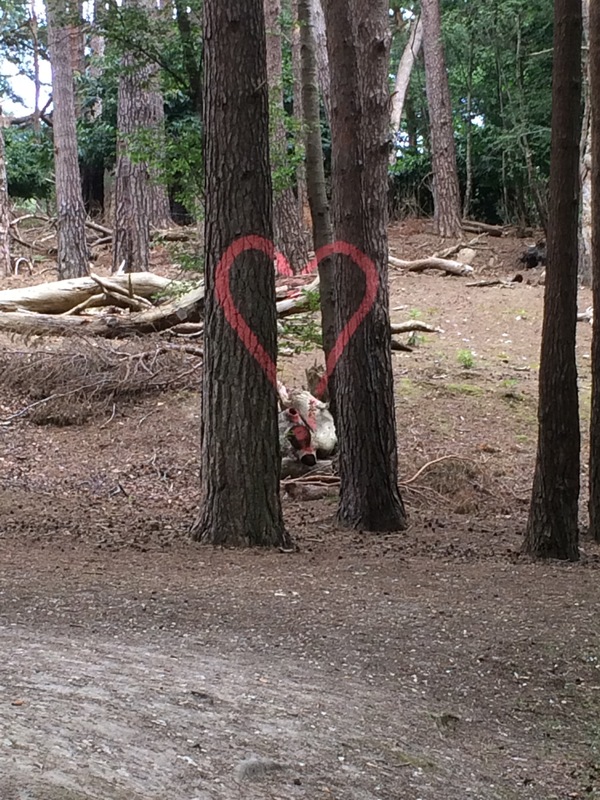 Brownsea Island is covered in trees and very pretty. It is owned by the National Trust and I thought it was quite expensive to visit. The return ferry trip cost the same as a going to the Isle of Wight, and then there were the landing fees. 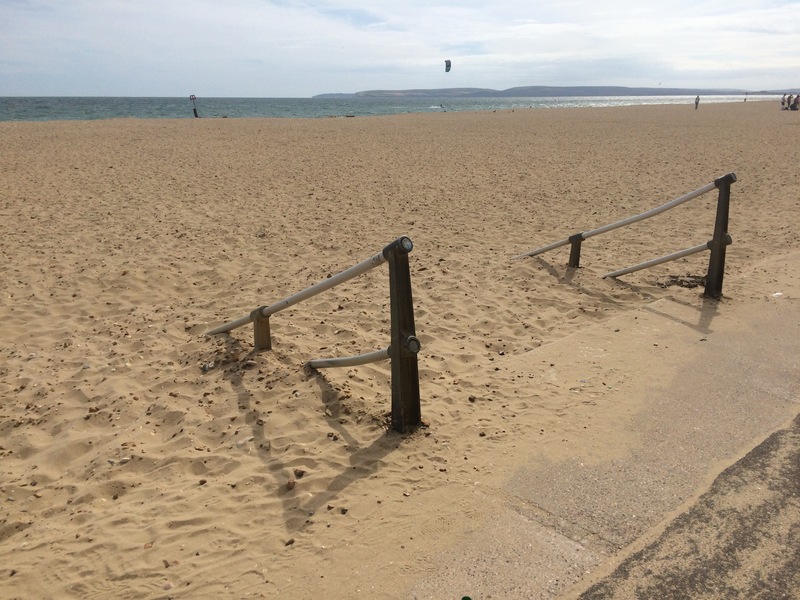 Still, it was much more tranquil than Sandbanks. 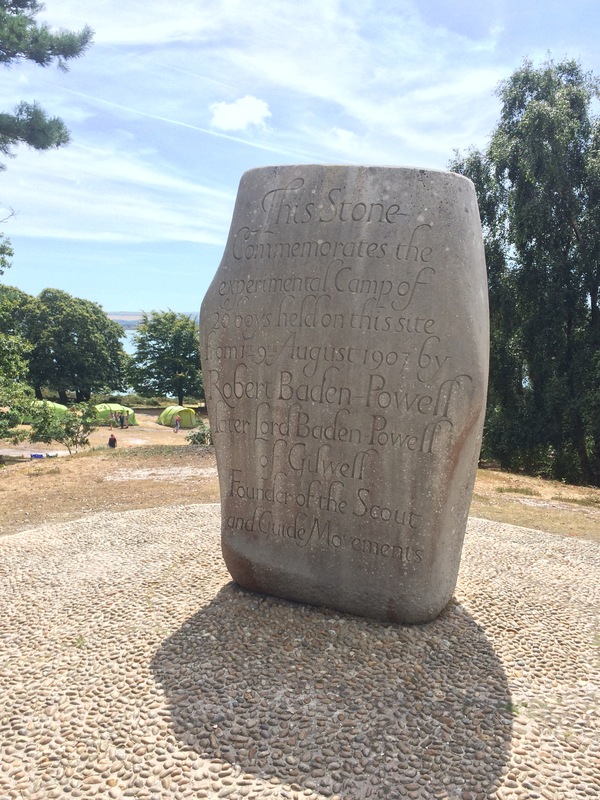 Amelie had done her Brownie induction here so we decided to try and walk around to the Scout Commemoration Stone. It was lovely to see lots of kids running around and a camp set up near the Stone. Unfortunately we did not see any red squirrels. 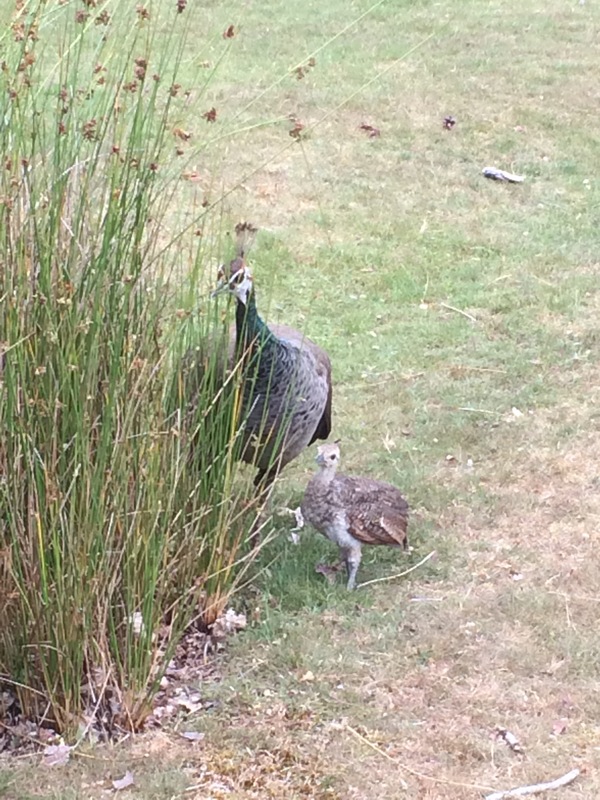 We had a picnic on the grass and watched lots of peacocks roaming around, many approaching picnickers for titbits. 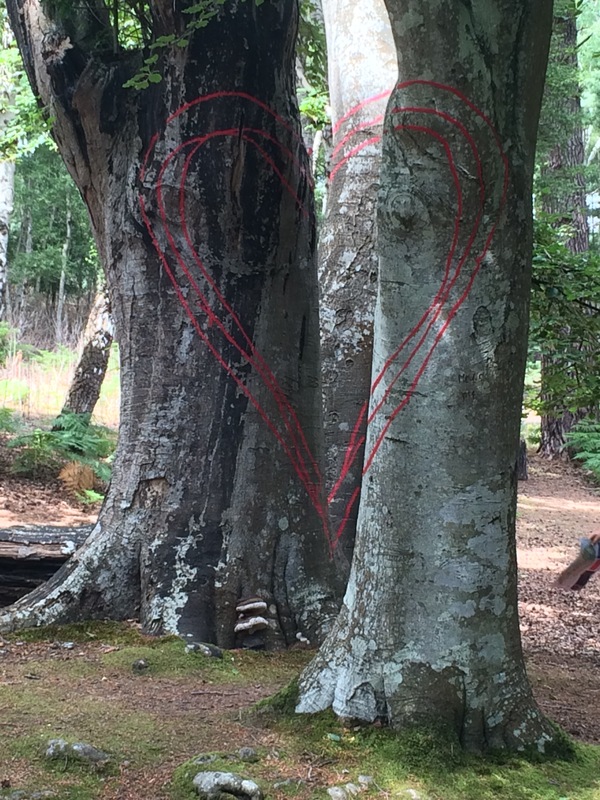 We walked back to the jetty via some cool art work in the woods. 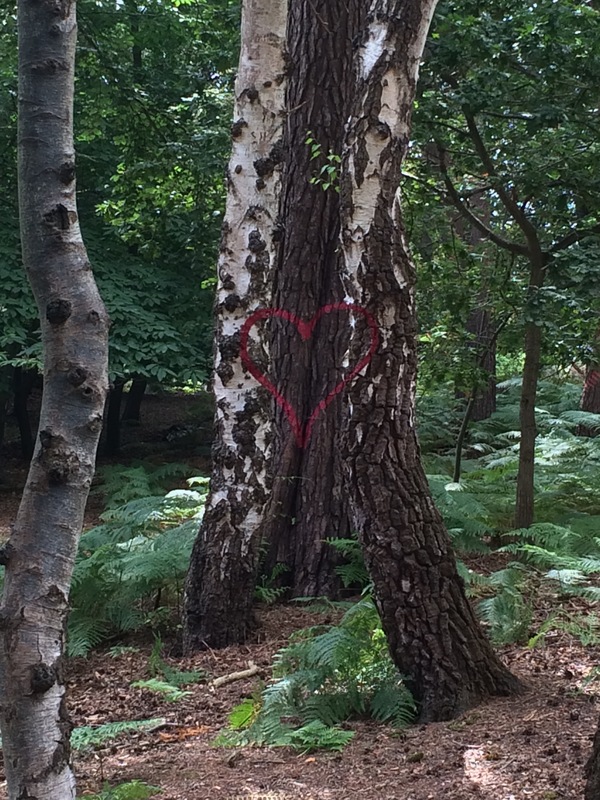 Red lines had been painted on trees so that if you stood in the right spot the lines all matched up to make a heart. Very clever. 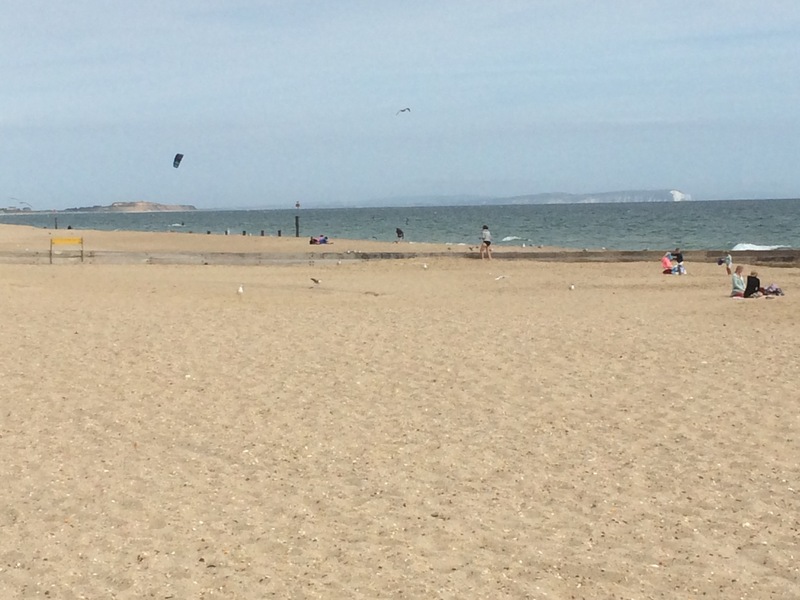 Back at Sandbanks we walked along the beach to the car park, where I collected my rucksack and we said goodbye. It had been a relaxing morning. 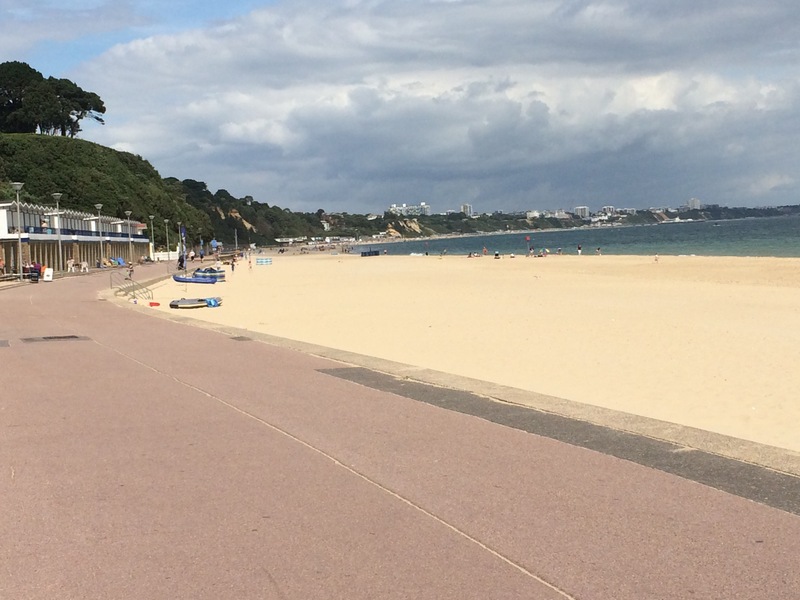 I carried on along the promenade that runs right through Bournemouth. 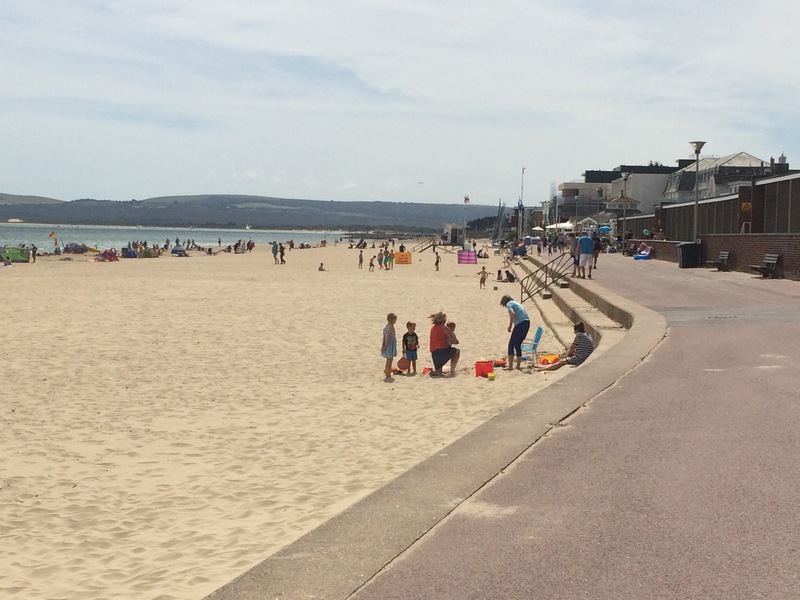 There were plenty of people enjoying the sunshine, on the beach and sat outside the many, many beach huts that line the promenade. 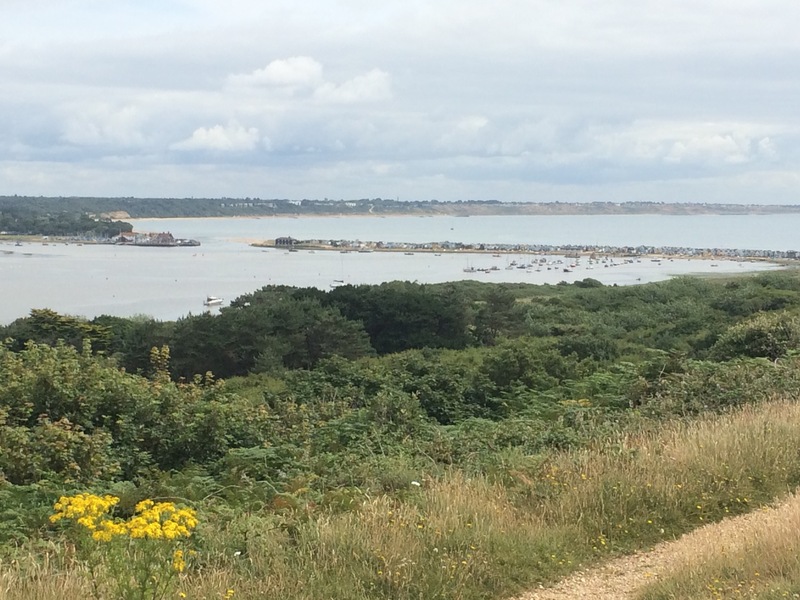 I had fantastic views across Poole Bay, from Old Harry to the West to The Needles and the Isle of Wight to the East. Is that the Isle of Wight? i think the volume of sand has increased further along the promenade! 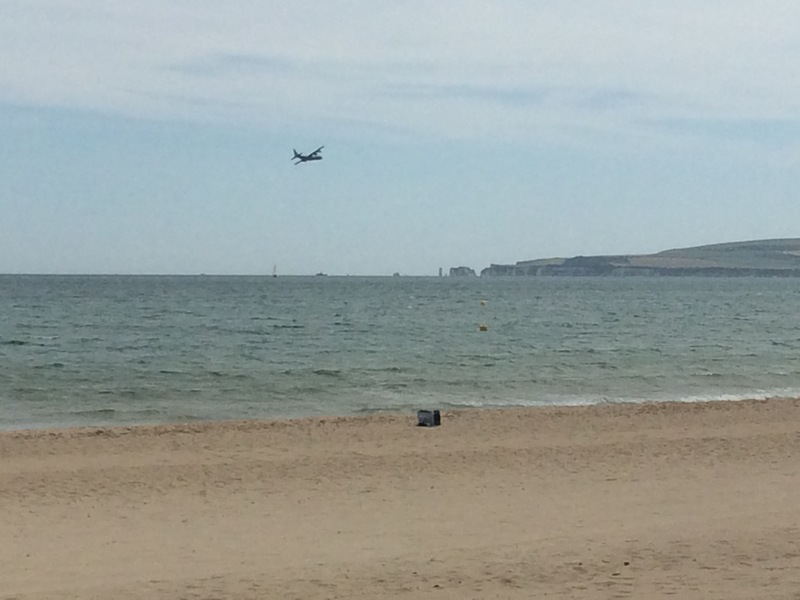 There was an RAF Hercules circling around the Bay for ages. Twice I saw it drop things into the water, including at least one boat. Must have been the SBS practising. Whatever, I was surprised by just how many people take binoculars to the beach! 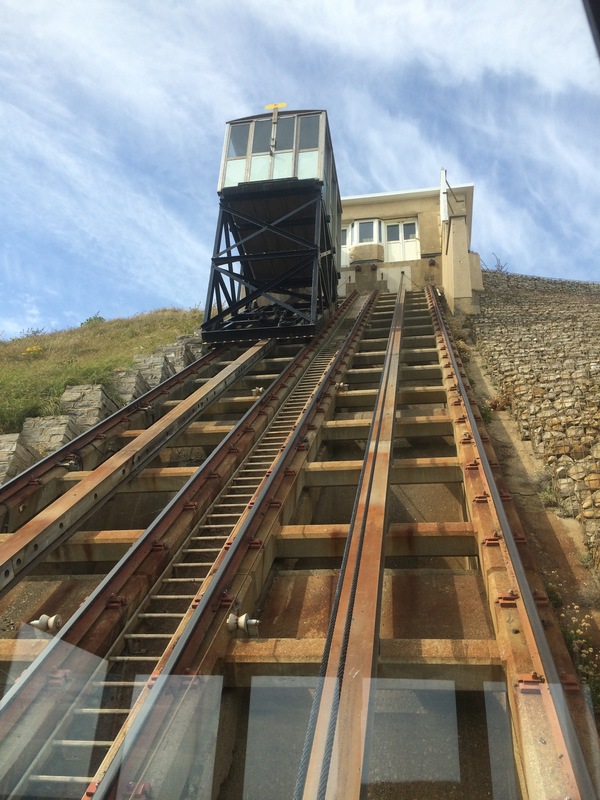 Behind the promenade, the cliffs are quite high and there are a couple of cliff lifts for those who don’t want to climb the zig zag pathways to the top. Naturally I caught a lift. I made my way to Kath’s house, not far from the Stour Valley. 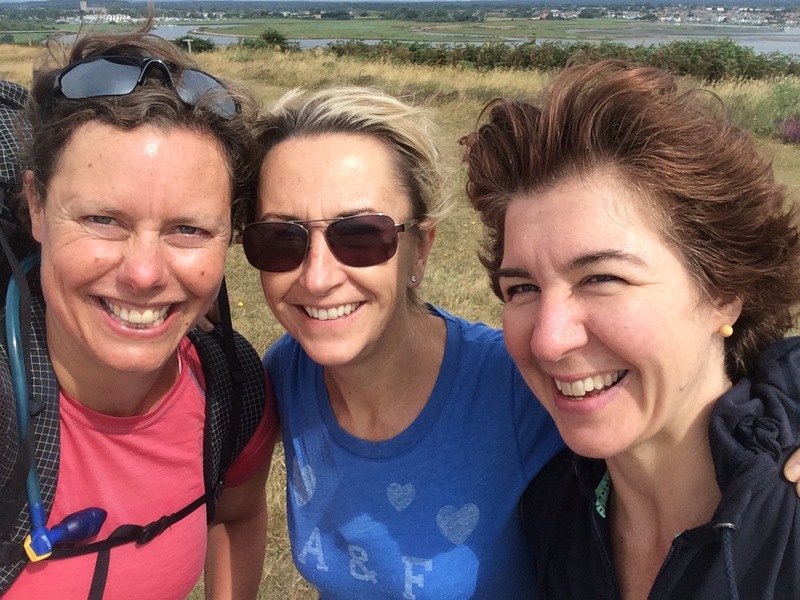 Kath’s friend, Suzy, joined us for the evening and we all walked to The Pie House in Tuckton for pie and mash. Delicious.